3rd-strike.com | Rainbow Skies released for PS3, PS4, and Vita! Rainbow Skies released for PS3, PS4, and Vita! 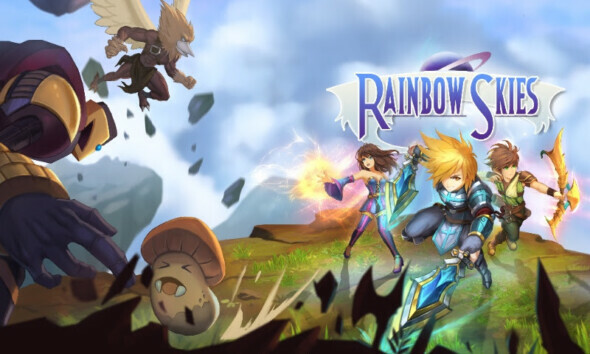 Rainbow Skies, direct sequel to Rainbow Moon, is a turn-based RPG following the story of the young monster tamer Damion. You’ll get to play as three young heroes as you explore the world of Rainbow Skies, upgrading your party and equipment along the way in typical turn-based strategy RPG fashion. Rainbow Moon is priced at €26.99/£21.99 and comes with a cross-buy and cross-save feature! Buy once, enjoy it on all three consoles.